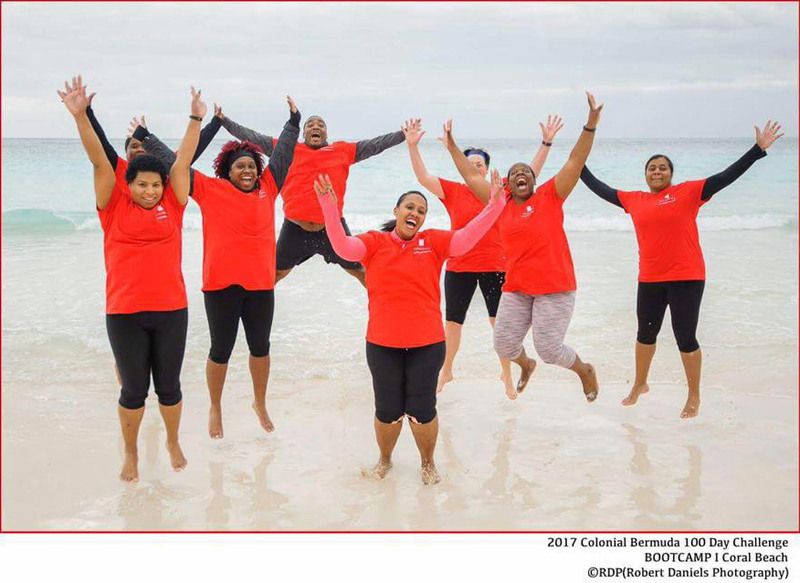 People are being given a chance to get a taste of the challenges faced by contestants in The Colonial Bermuda 100 Day Challenge with a free public boot camp. The Challenge last took place in 2013 and is now being sponsored by Colonial with 25 people taking part, who were chosen following rigorous selection process. A spokesperson for Colonial said: “We would encourage everyone to register for this event which will be a great way of supporting the contestants as well as getting some exercise. Hopefully people who take part will be inspired to continue to exercise and get fit. The event will take place on Saturday [April 15] at Albouy’s Point with members of the public asked to check in from 7.30am with the session starting at 8.30am. The work out will last one hour. Participants should register in advance via this link. The Challenge started on February 16 and all the entrants received a free enrolment to the Colonial Wellness programme, Zest which included a wearable activity tracking device and access to their own private online Wellness account.